Simultaneous Neural Electrical Stimulation and fMRI: The Next Frontier in Neuro Therapy? Neural implants will soon play a role in treating various neurologic diseases, thanks to expert use of fMRI during electrode placement. Here’s how the technique is being applied for epilepsy, movement disorders and more. Although it may sound like science fiction, in the near future neural implants are likely to play a significant role in treating many neurological diseases. Today we are witnessing the genesis of techniques that will make this possible. These involve the collaborative use of neuroimaging techniques — from structural imaging to functional imaging — together with rapidly evolving functional neurosurgical procedures for treating conditions such as movement disorders, epilepsy, dementia, stroke, chronic pain and psychiatric diseases. After discussing the context in which these developments are evolving, this post summarizes some leading contributions our group at Cleveland Clinic has made to these exciting techniques. Despite the flurry of progress in the use of neuroimaging to improve neurostimulation, many technical problems remain to be addressed. One is that an individual’s structural anatomy may not fully explain or predict the functional changes of the neural networks in his or her disease state, as our group discussed in depth in a recent paper. For example, the exact functional brain tissue controlling the hand may slightly differ from the expected location as determined by the brain’s folds. Likewise, the processing of motor control in patients with Parkinson disease is expected to differ from that in normal individuals, but structural anatomy is insufficient to identify such differences. Can functional imaging overcome limits of structural anatomy? We expect that functional neuroimaging will be critical to the development of neuroprosthetic interventions, not only because these techniques are hoped to guide electrode placement but also because they may serve as biomarkers for response. Preliminary data from our group show that functional neuroimaging can be used during electrode implantation and directly image the function of brain tissue located at the electrode tip as well as its relationship with the neural networks. This knowledge can then be used to adjust the electrode position or to refine the stimulation electrodes or parameters. We recently developed a technique to image the patterns of brain function associated with an electrode by simultaneously stimulating the electrode while the patient undergoes functional MRI scanning, as described in another recent paper. These studies represent the first such experiments with external stimulation in humans with epilepsy or under general anesthesia. These efforts build on early work led by our Cleveland Clinic colleague Michael Phillips, MD, in 2006 on Parkinson disease patients with implanted devices for deep brain stimulation (DBS). The technique is effectively able to show brain activity through its surrogate of increased blood flow. The advantage of this method is that it can reveal in three dimensions the patterns of activity superimposed on the brain’s structural anatomy, which necessarily also contains the stimulating electrodes. Extensive safety tests were performed in advance to ensure patient safety, given the strong electromagnetic environment of an MRI scanner. Figure 1. Functional MRI activation maps during intracranial stimulation of a patient with epilepsy (top row), deep brain stimulation of a patient with Parkinson disease (middle row) and sacral nerve stimulation of a patient with urinary urgency incontinence (bottom row). In all cases, stimulation of an electrode in neural tissue evoked a response in distal areas of the brain. These patterns reveal much about underlying brain networks. The study, diagnosis and manipulation of brain networks represents the next frontier for neurological therapies. Epilepsy. This technique was first applied by our group during the invasive evaluation of epilepsy patients for determining the epileptogenic zone triggering their disease, as we recently reported. As shown in the top row of Figure 1, this method beautifully shows underlying networks of activity related to the location of stimulation, providing evidence for the networked nature of epilepsy. Furthermore, the exuberance of activity seems to be related to the degree of epileptogenesis associated with the electrode site. This method may benefit many patients with a focal form of epilepsy wherein the seizures are generated at a focal abnormality that is often invisible on routine MRI. The ability to identify and surgically remove these foci can potentially result in a cure. Application of our technique to these foci can help verify their epileptogenicity and associated networks. Movement disorders. Another recent application involves the placement of DBS electrodes for movement disorders such as essential tremor or Parkinson disease. As shown in the middle row of Figure 1, stimulation again excites brain networks that reveal the functional location of the electrode tip relative to the rest of the brain. This pattern of generated activation can reveal whether the electrode is in the most appropriate location. If the technique is performed intraoperatively, the electrode can be adjusted for maximal benefit. In the future, this technique could markedly increase the rate of successful electrode implantations since they would be based on the patient’s functional networks rather than structural anatomy. In addition to increased successful motor improvement (Figure 2), expected benefits include a reduction of nonmotor side effects, including cognitive and emotional effects. Our group presented some of our early experience in this area at the 2015 Annual Meeting of the American Society of Neuroradiology, and we are completing a major grant submission to expand on this work. Figure 2. Functional MRI activation maps showing different patterns in two patients with differing outcomes after undergoing deep brain stimulation (DBS) for Parkinson disease. Both patients had a right DBS electrode in the internal globus pallidus; the DBS-fMRI stimulus for each was 8 volts between, C1-C3 contacts, 130 Hz. The patient in the top row had poor motor improvement, whereas the patient in the bottom row had marked motor improvement. Urinary urgency incontinence. An additional example uses stimulation of the peripheral nervous system rather than stimulation from electrodes implanted in the brain. Sacral stimulation is now routinely used for the treatment of refractory urinary urgency incontinence in females. Similar to our findings in the DBS experiments assessing electrode efficacy, we have found that simultaneous stimulation of the sacral nerve causes patterns of brain activation (bottom row of Figure 1) that might one day help assess the efficacy of stimulator placement in addition to stimulation parameters. Our work holds further exciting potential applications, such as in DBS treatment for major depression. The technique will also be advanced with the addition of new head coils that permit imaging at 3 tesla, the introduction of multiple electrodes that permit stimulation and recording, and protocols that enable imaging of awake patients. The utility of neuroimaging to improve clinical neurostimulation is expanding at an exhilarating pace. 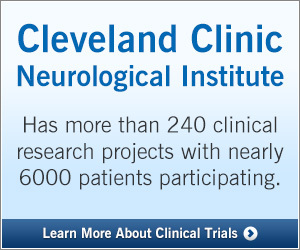 Dr. Jones is Vice Chair for Research and Academic Affairs in Cleveland Clinic’s Imaging Institute and holds appointments in the Epilepsy Center and Mellen Center for Multiple Sclerosis Treatment and Research within Cleveland Clinic’s Neurological Institute. Dr. Gonzalez-Martinez is a staff neurosurgeon in the Epilepsy Center. Dr. Machado is Chair of the Neurological Institute and Director of its Center for Neurological Restoration. Dr. Goldman is a surgeon in Cleveland Clinic’s Glickman Urological & Kidney Institute.